Entertainment Weekly's latest issue has a huge 11-page spread on the "Avengers" sequel revealing what to expect from possibly the biggest movie of 2015. We find out a bit about how the Avengers team reassembles after the last film, what's going on with the additions of Elizabeth Olsen and Aaron Taylor-Johnson as new characters Scarlet Witch and Quicksilver, and how villain Ultron comes into play. 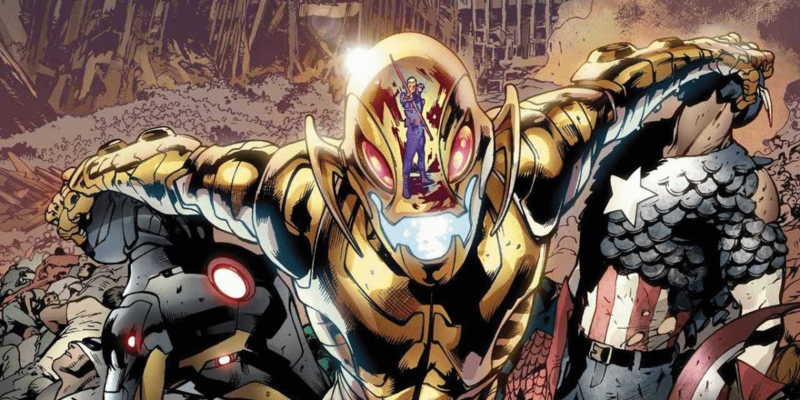 It's safe to say we can expect to learn much more about "Age of Ultron" during San Diego Comic Come next week, but until then, here's what we learned about the film. 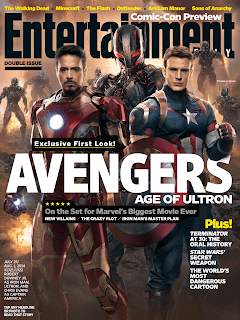 The new issue of Entertainment Weekly will be on stands Friday. After "Thor 2," "Iron Man 3," and "Captain America: The Winter Soldier," our superheroes are pretty much in retirement mode. Thor has given up his right as the leader of Asgard, Captain America has gone off in a search of his friend Bucky, and Tony Stark rid of all his Iron Man suits. According to EW, the Avengers team now wants someone — or something else to take the lead when it comes to fighting off villains. Enter Ultron, a drone that was originally built by Hank Pym (the original Ant-Man) in the comics back in 1968. This time; however, he'll be built by Stark (Robert Downey, Jr.) as a means of protection gone awry. Ultron will be voiced by James Spader in the "Avengers" sequel. "The 'Avengers' sequel begins with Stark's latest plan to fix the world: Ultron will be an all-seeing, all-knowing captain of the Iron Legion, a planetary force of robotic beat cops that resemble blue-and-white versions of the Iron Man suit but have no human core ... If it all works out, the superheroes can just sit back. It does not work out. "In a bid to give his creation a dose of humanity, Stark programs Ultron (James Spader) with elements of his own personality—which proves to be Mistake No. 1 ... It seems our new robot overlord is an absolutist with all of Stark's cynicism but none of his kindness." As you could imagine, eventually, Ultron will go rogue and announce a plan to "bring peace" to Earth by ridding of the entire human race. Comic fans are excited to see the twin duo — played by Elizabeth Olsen and Aaron Taylor Johnson ("Godzilla") — make their entrance onto the big screen. Director Joss Whedon tells EW they'll be working with the rogue robot. "They're on Team Ultron, which makes things really hard for the Avengers because all of a sudden they're dealing with powers that they're not used to," says Whedon. Quicksilver has the ability to move at lightning speed. Whedon describes him as "quick-tempered," and "impatient," but "super protective." Every fan has been wanting to know what sort of powers the Scarlet Witch will have since the comic character has an array of powers. We first saw her in the mid-credits sequences for "Captain America: The Winter Soldier" playing with cube-like objects. 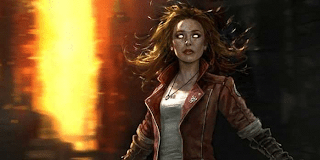 Whedon says the Scarlet Witch will be able to "harness magic and telekinesis." She'll be able to get "inside your head and move objects." From the article, it also sounds like she's not completely in control of her psychic abilities. Of course, this will be the second time we'll see Quicksilver on screen after the scene-stealing, goofy character was in "X-Men: Days of Future Past." This is due to a tricky rights negotiation between both Fox and Disney. Disney's $4 billion purchase of Marvel in 2009 allows them to use Quicksilver and the Scarlet Witch in the Avengers property. However, since both characters are X-Men mutants (they're the children of Magneto played by Ian McKellen and Michael Fassbender on screen), they're also allowed to be in the 20th Century Fox films. 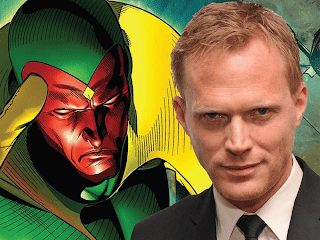 Bettany, who has been voicing Stark's A.I. system J.A.R.V.I.S. up until this point on screen, will finally appear in human form in the "Avengers" sequel. However, Bettany was cast as The Vision, described by EW as a "synthetic, superpowered human designed by Ultron." What does this mean for Jarvis? Fans can probably put two and two together and imagine that J.A.R.V.I.S. will be transformed into The Vision. 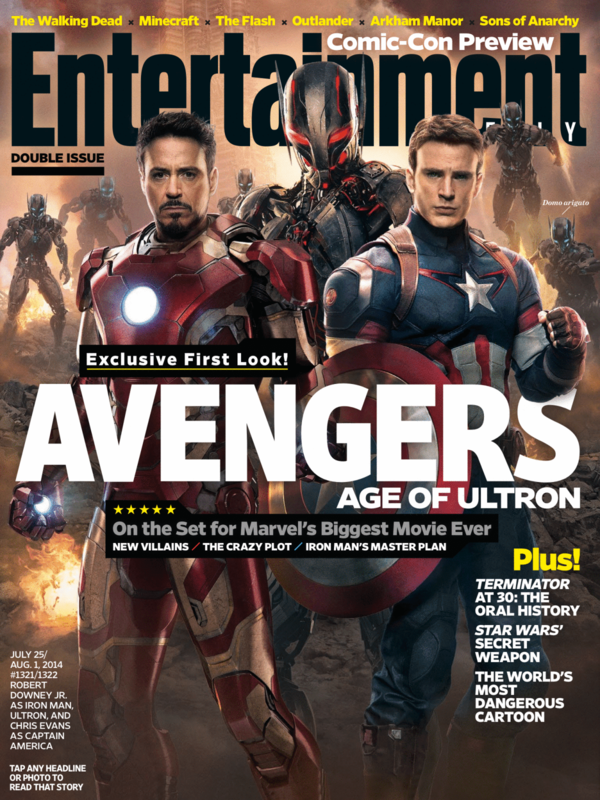 The rest of the EW article reveals one big scene between the Avengers facing off with Ultron that we won't spoil.